Firemen dig through the rubble in search for tsunami victims in Palu, Central Sulawesi, Indonesia, Thursday, Oct. 11, 2018. 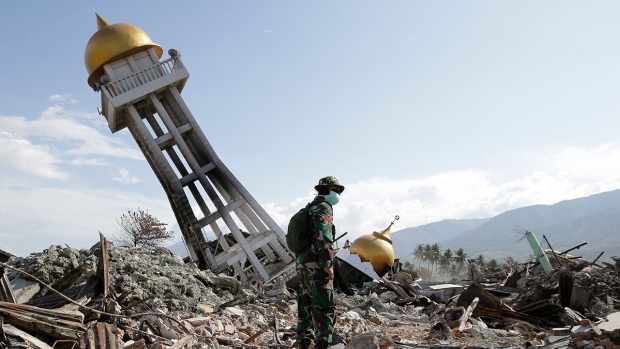 A 7.5 magnitude earthquake rocked Central Sulawesi province on Sept. 28, triggering a tsunami and mudslides that killed a large number of people and displaced tens of thousands of others. 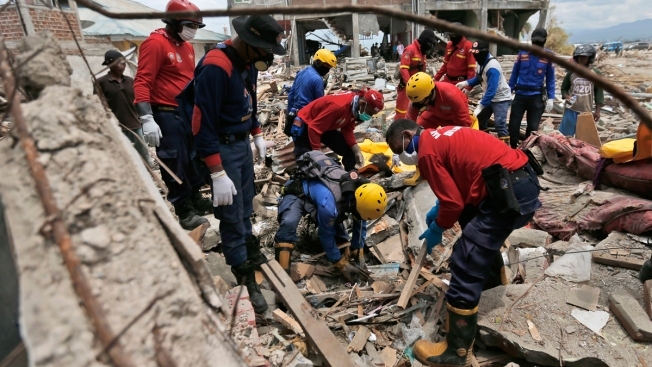 Indonesia's search for victims buried in neighborhoods annihilated by an earthquake and tsunami is nearing its end almost two weeks after the double disasters hit the remote city of Palu in central Sulawesi. But the national disaster agency's spokesman, Sutopo Purwo Nugroho, told a news conference it would continue for one more day after requests from families of the missing. "Children are particularly vulnerable in disasters, and to think that so many will never have the chance to grow up is heart-breaking," she said in a statement.